And yet, despite my slightly snobbish attitude to this entry-level VR headset, I plan to buy a unit at launch. This is mainly due to its simple, elegant social functionality. 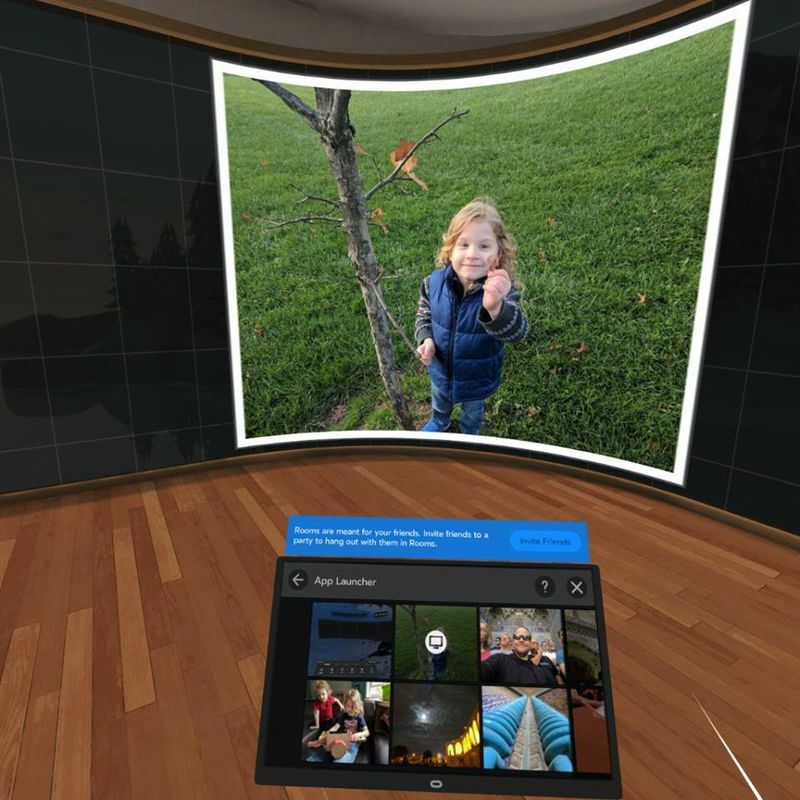 Oculus Rooms allows me to create my own social space. The headset’s Oculus Rooms feature allows me to create my own social space for my family and friends in virtual reality. I can sit and chat with them, via pretty little avatars. We can share home movies and photos by linking our phones to the headset. We can watch movies together. We can play basic parlour games. It feels like a natural and useful implementation of virtual reality, and it’s powered by a $200 stand-alone headset. This is an actual place where I want to spend time. Taken as a list of bullet points, little about Rooms is particularly new. There are lots of apps that connect me with people. I can chat with folks on Skype and see their real faces. I can play games with people via any of my gaming consoles. I can watch videos via social media channels. But Oculus Go feels like an amalgamation that takes the best of all those things and (I hope) eliminates the worst. I live in California, but I come from England. Many of my favourite people are thousands of miles away. I also spend a fair amount of time travelling, and so I’m often away from my spouse and children. Digital communication is important to me, as it likely is to you. Skype is clunky and generally awful. Social media channels are a swamp. Gaming social networks are too heavily tied to the games themselves. 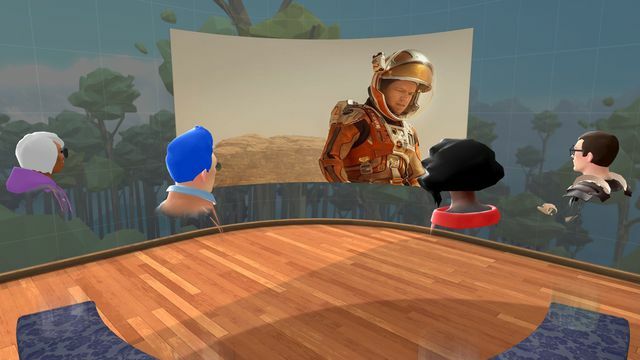 But Oculus Go’s Rooms feels like a natural place to gather in small groups, and just hang. You can easily jump from activity to activity, or even have different groups of people in the same space doing different things. It’s true that the lack of processing power means it can’t deliver the same sort of high-end visual experience you might get from a Rift, but the lack of cables also makes it so much easier to use. It’s also significantly less expensive, especially since it doesn’t require the use of a particular phone for its brains. Go’s relatively low price and its ease of use means I feel comfortable recommending it to family members who aren’t that tech-savvy, and likely wouldn’t want the expense of a Rift or the hassle of a Gear VR. Although I’ll be pushing the social function as a reason to buy, I’m sure they’ll find uses in other aspects of VR, even if it’s just the illusion of watching a really big TV set. It’s a product I can recommend without feeling like I’m also signing myself up to handle all the troubleshooting that comes with most VR technology. I also think Rooms might turn out to be a good place for business. Although it only takes four people at a time, I like the idea of meeting teammates in a place like this for semi-formal gatherings. If I had a small team of workers in different parts of the world, I’d certainly like to try this as a way to hang out “in person” as opposed to Slack. In the past, I’ve been suckered by neat technologies that seem like a great idea but turned out to be missing some key component that might have made them genuinely useful in my life. (I thought PlayStation Home was going to be huge.) But I’m going to give Oculus Go a twirl, and see if it catches on with my family. Facebook owns Oculus. That company says it’s all about connecting people. I think it’s done a pretty bad job of that in general. But perhaps Go will connect us in ways that are more organic and natural. I’m looking forward to finding out.